Best 18V Cordless Drill Kit for $100? ToolGuyd > Power Tools > Cordless > Best 18V Cordless Drill Kit for $100? Dan wrote in, asking for help in choosing a ~$100 cordless drill kit. Checking out our Best Cordless Drills guide is a great start, but things get trickier at the $100 price point. There are few pro-grade options at this price year-round, but that typically changes every Fall as we get closer to the winter holiday shopping season. For the sake of this discussion, we’re only going to look at 18V drill kits. We could look at 12V drills, as there are some 12V Max cordless drills that can keep up with some 18V models, but that would complicate things further. Related Topic: Milwaukee M12 vs Dewalt 20V Max? Let’s take a look at all of the $100 cordless drill options, at least those I could find. Even if they’re priced higher now, they will probably return to lower pricing in a couple of weeks when the holiday season is in full swing. I added in a couple of other non-$100 options that were worth noting. Bosch’s DDB181 (here’s our preview) is currently my favorite budget-priced cordless drill. 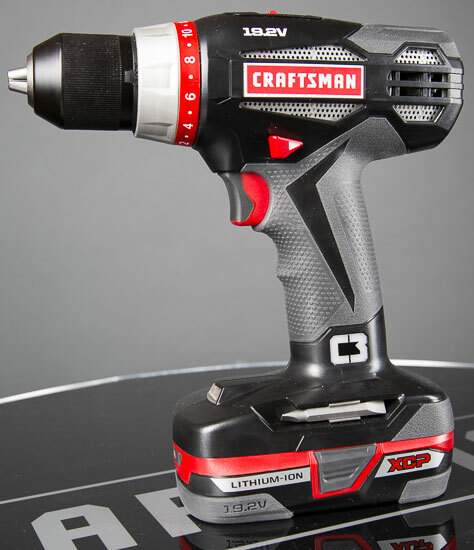 Its low price is not the only selling point – this model is also noticeably more compact than Bosch and other brands’ 18V drills. It doesn’t have very many bells and whistles, but it’s a good performer. My recommendation, naming this as the top 18V budget pick in our best cordless drill guide, still stands. This kit comes with the drill and (2) Li-ion batteries. You usually have to wait until the holiday season to find the DDB181 kit for $100. Craftsman’s heavy duty drill is currently (and typically) on sale for $110, and I don’t think we’re going to see it approach any closer to $100. It’s a solid model, but its 465 in-lbs of torque was a lot more impressive when we reviewed it 3 years ago. The biggest reason to buy this over any of the cordless drills discussed here, is if you want to buy into Craftsman’s excellent C3 line of DIYer cordless power tools. There are several other Craftsman C3 drills that are priced under $100, but they’re of course lesser drills. We posted about the Dewalt 20V Max DCD771 cordless drill a couple of times now, and the story is always the same. 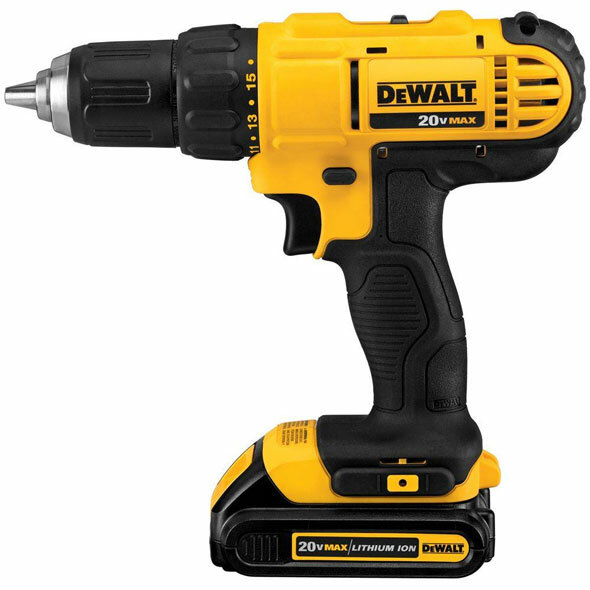 This model is similar to Dewalt’s regular cordless drills, but consumerized with cheaper components. You can read about all the differences in my deal post from when it first came out 2 years ago. I’m sure it’s a good drill, but it seems to have been specially designed for Christmas and Father’s Day shoppers. Hitachi’s DS18DGL is their newest entry-level 18V cordless drill, and it has earned solid user reviews on Amazon. The DS18DSAL is better, but costs more ($129 via Amazon). This kit is $95 right now, and will probably stay at that price. Last year, Makita came out with an entry-level hammer drill kit, for just $99. It only comes with 1 battery pack, but it’s a high capacity 3.0Ah battery. I prefer cordless drills over cordless hammer drills, but this does provide the most inexpensive way (that I’ve seen) to buy into Makita’s 18V lineup. While priced well above the $100 target, Metabo’s newest compact 18V drill/driver has some appealing features. It’s got a 3/8″ chuck – 1/2″ would be better – and it’s removable. Beneath the drill chuck is a handy 1/4″ hex screwdriver bit holder. You also get 2 batteries, not just 1. I keep hearing about how Metabo quality blows other brands’ out of the water, but I’m really just more drawn to the BS18’s fancy drilling and driving chuck system. The BS18 kit is currently priced at $149. It’s out of stock at Amazon, but you can still order it directly from them to get free shipping. Milwaukee’s 2606 M18 compact drill/driver is a nice go-to drill for general purpose use. Around holiday times, it goes on sale for just $99 or so, but only the 2606-21CT kit, which comes with a single battery pack. Still, it’s a good drill and inexpensive entry into Milwaukee’s excellent and broad M18 cordless power tool platform. Just keep in mind that the kit only comes with a single battery pack. That’s the only “gotcha.” Otherwise, this is one of few $100 drill kits that comes with a regular product line drill and not a special budget or consumerized one. This kit currently isn’t available, but I anticipate that it’ll reappear and at the $99 price point when we’re closer to the holiday season. 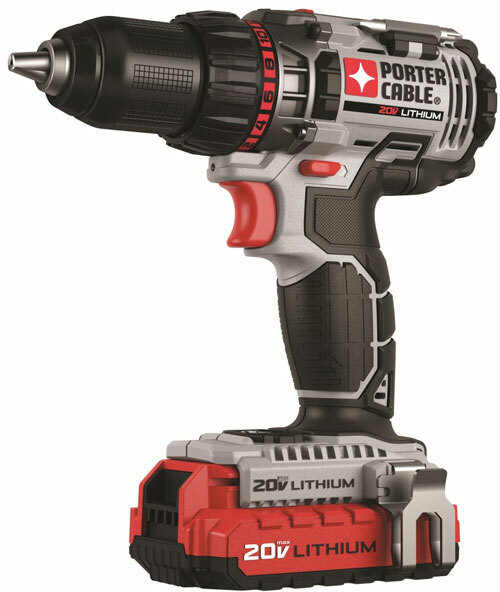 My impression of Porter Cable’s 20V Max lineup has changed over the years, as new tools were added to the product line. But one thing remains certain – their PCC600 drill/driver is a fantastic drill. It really is. More recent additions to the lineup are similar in nature as the 18V tools they replaced, meaning they’re designed and priced for lesser needs. The only complaints I’ve heard about this drill are about how it looks. There are some other versions of this drill, but I’d stay away from them. A newer model, PCC601, is less powerful, slower, longer, and packaged with a lower capacity battery, and also a slower charger. It’s worth spending a little extra on the PCC600. This kit has gone on sale for $99 in the past, but might not again, now that there are new lower priced variants of the kit. 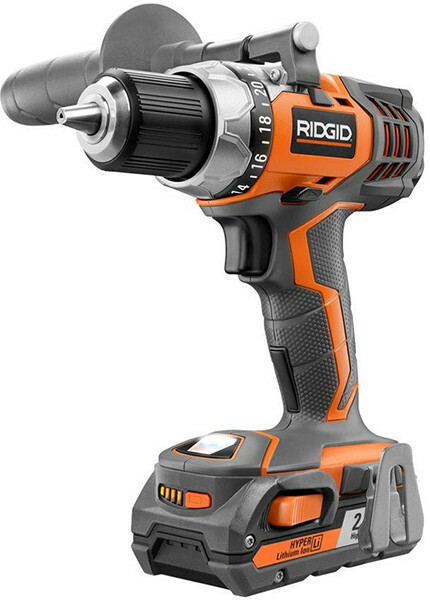 There hasn’t been a ~$99 Ridgid drill in some time. The last time I remember seeing a ~$100 Ridgid drill was back in 2012 when I did a roundup of $99 and $100 drills. Ridgid’s R86008P cordless drill kit is an older design, but has been updated and is now bundled with a 2.0Ah battery kit. It’s still quite powerful, with a 535 in-lb max torque rating. This looks to be a decent kit. 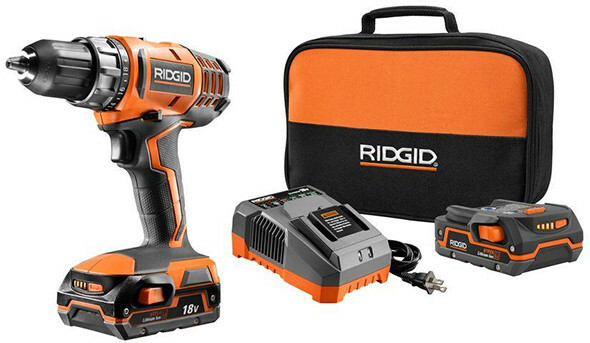 There is also the Ridgid R860052K cordless drill kit, which is “on sale” for $99, from a “regular price” of $129. This kit comes with a different charger than most Ridgid 18V kits, and there are quantities in stock at local Home Depot stores (13 each at 2 stores, 21 at another) that suggest it’s a holiday item. This drill doesn’t look to have an LED worklight, at least not one I can see, and comes with (2) Li-ion battery packs instead of one. 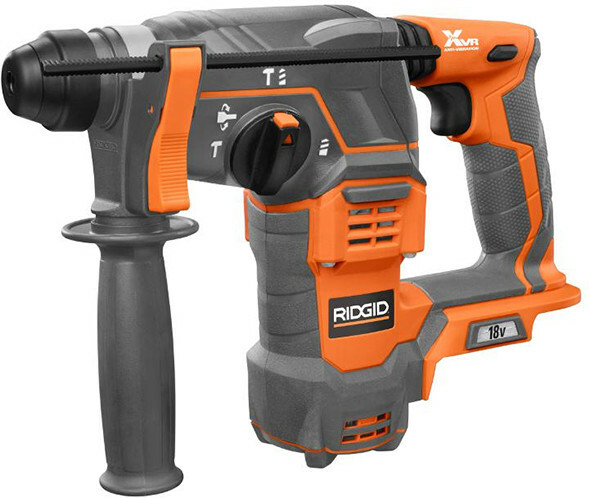 Neither Home Depot nor Ridgid mention the torque rating for this drill, and the linked-to user manual on the Home Depot product page is for a completely different drill. The absence of an aux handle suggests that this drill is weaker than the other Ridgid model. This set comes with 2 battery packs, but the R86008P kit seems to have the better drill. Ryobi has a couple of great tools in their lineup, including Li-ion drill/drivers. They don’t really have anything at the $100 price level – most drills are either quite a bit cheaper, or somewhat more expensive. But around holiday times, you can usually snag a drill and impact driver like this one, for $99. Not all of these options are available year-round, and if they are, they’re probably priced higher than $100. I did mention a couple of $100+ options – those are typically available all year. When the holiday shopping season is in full swing, you pretty much have your pick. Bosch, Dewalt, Makita, Milwaukee, Hitachi, and sometimes Ridgid all have $100 offerings. The Bosch is a compact and budget model that comes with 2 batteries. The Dewalt is a consumerized model (for lack of a better description) that comes with 2 batteries – but the batteries have lower capacities than the brand’s regular cordless tools. The Makita is also an entry-level drill, but it’s a hammer drill, and it comes with 1 higher capacity battery pack. The Milwaukee offering is their everyday brushed motor drill, but it comes with 1 battery pack. 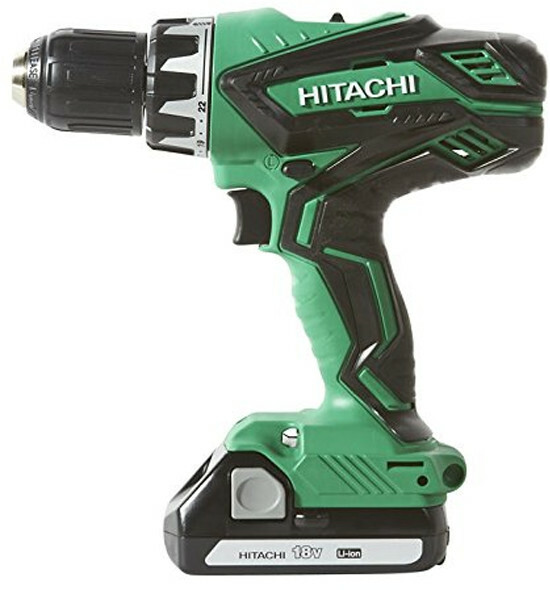 Hitachi has a budget model, but I believe I’ve seen their everyday drill kit drop to $99 at times as well. Craftsman offers a heavy duty drill at the $110 price point, and plenty of lesser drills for under $100. The same goes for Ryobi, but at peak holiday times Ryobi often discounts their basic drill and impact driver kit to $100. 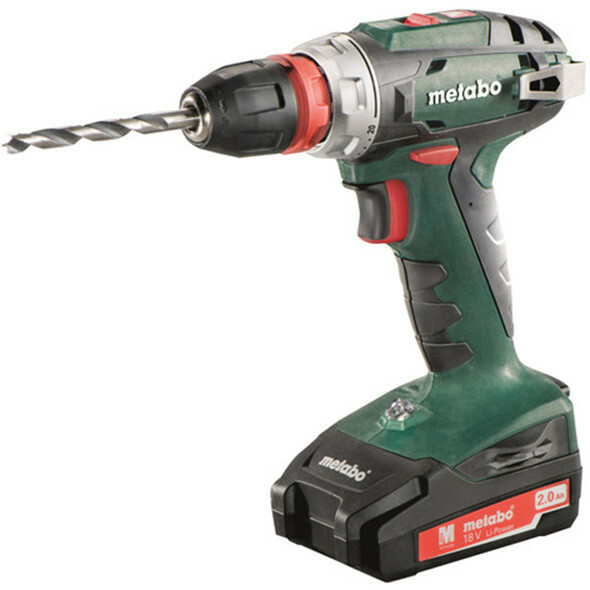 Metabo’s cordless drill comes with a 3/8″ chuck, which I typically only see with DIYer brands’ 18V tools, but it also features their premium quick-change chuck system. It’s priced at $149, but I thought it was worth mentioning here all the same. 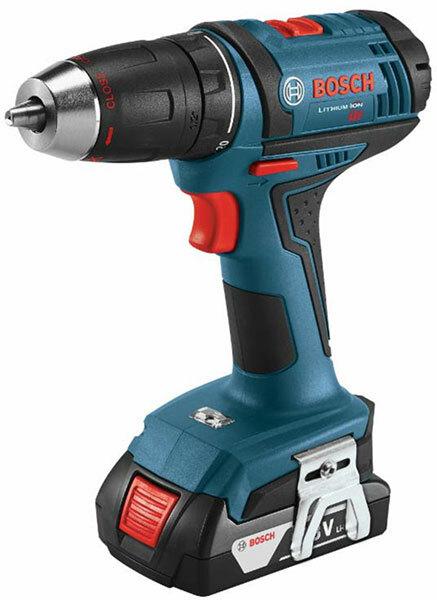 If all I wanted was a cordless drill/driver, I’d go for the Bosch DDB181. 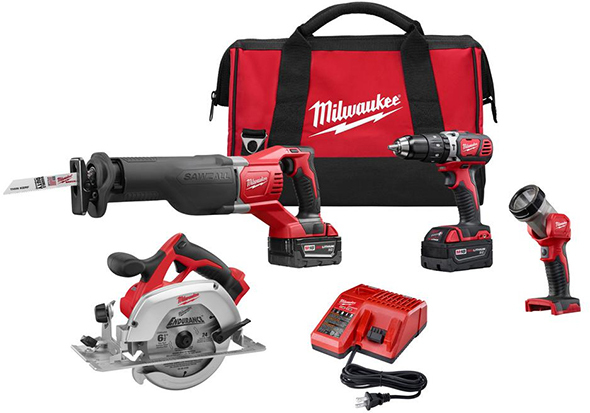 If I wanted to buy into a new cordless power tool system as well, or was okay with having just 1 Li-ion battery pack, I’d probably start with the Milwaukee 2606-21CT kit – when seasonally available. But, to be frank, you probably wouldn’t go wrong with any of these options, as long as you were fully aware of why each is priced as they are. Which would be your pick? Did I Stumble onto a Bosch 18V Cordless Drill Black Friday 2017 Special? New Dewalt DCD777 20V Max Brushless Drill Looks Budget-Friendly New Ridgid 18V Cordless SDS Plus Rotary Hammer Which is the Best Cordless Power Tool Brand? A. Get over the $100 limit and just get a Milwaukee already; this presumes you will use it a LOT, and/or need it for your profession. B. You care more about money than function and won’t use it that much; basically a home owner situation. In that case, I’d get a Ryobi due to all the other home-ownery stuff you can get from them that’s compatible at relatively low prices (e.g. my Ryobi cordless grinder which is, to be fair, kinda crap compared to Milwaukee, but if I’m only using it 3x/year, why do I care?). 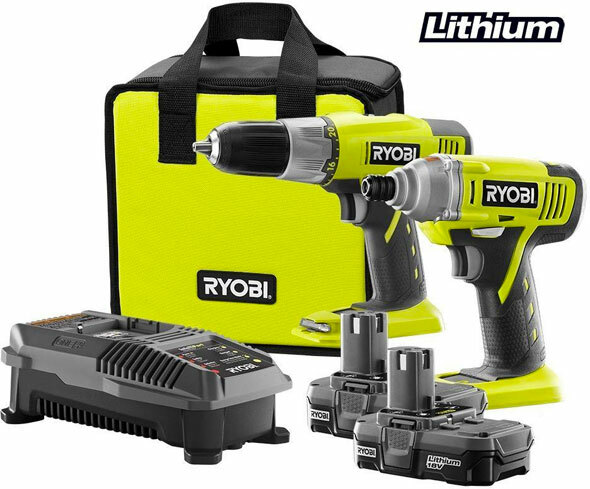 I think that Ryobis 6 tool kit is the best bang for the buck for homeowners since it has the upgraded drill, driver and batteries and goes down to $259 occasionally. Worst flashlight ever though. I started running them in my shop too and haven’t had any problems so far. At home I have the gardening tools too but those do need the 4amp batteries. If I was going to buy a tool to use 3 times a year I would buy corded. It should last a lot longer and you won’t have to worry about finding a new battery in 5-10 years when they’ve changed their design. I was going to say this almost exactly! Very casual use-ryobi. Ryobi’s cordless inflator is a lifesaver! But if i needed a drill 3x a year and didnt love tools but still wanted one and had a strict budget i would go with harbor freight. 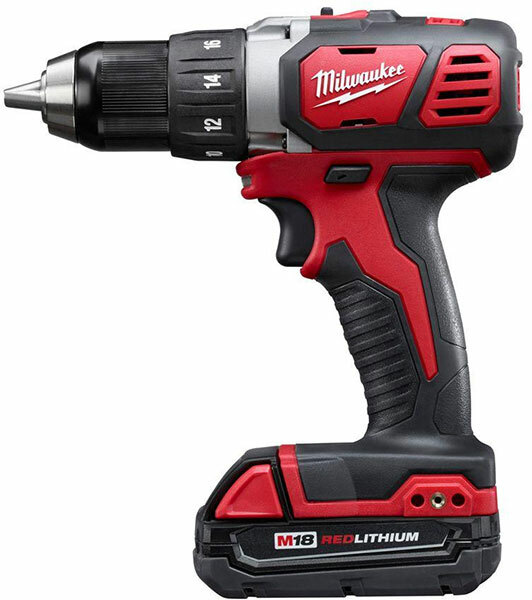 They have lithium ion stuff and its not bad… Of course i need a drill daily and do in fact love tools so i own milwaukee. well right now the fein is at $170 so that would be my pick. I know its more expensive than $100,but so are a lot of these drills on this list and I doubt that any of these are half the drill the fein is.You know since they are all basicly the cheapest drill the company offers or the brand is more of a DIY brand. Yep, I posted about that deal here – https://toolguyd.com/fein-18v-brushless-drill-kit-deal-092015/ . That is a good deal, but $170 is a bit too far beyond the $100 discussion target. Plus, that deal is “while supplies last,” and so it could end any day now. The reason I like the Bosch DDB181 is because it’s not “the cheapest drill the company offers,” at least not entirely. It is also significantly more compact that Bosch’s other main line drills. So while it might be a budget offering, that’s not the only consideration. It’s not as if Bosch took the DDS181, which is still my editor’s choice pick in the best cordless drills guide, and swapped in lower cost components. Whereas Dewalt’s $100 offering is less powerful, slower, and larger than their everyday drill, the Bosch $100 offering is less powerful but also more compact. It’s almost a 12V drill that works with their 18V battery system. The Milwaukee is their everyday model. 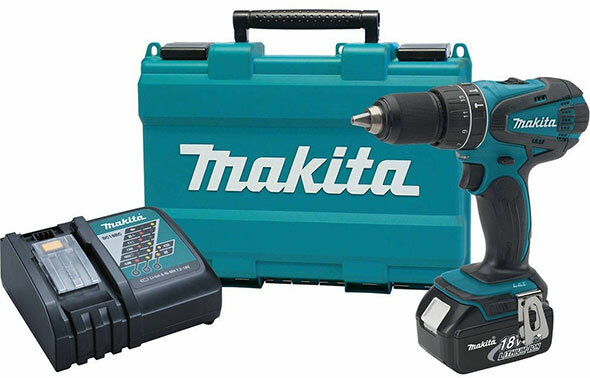 Makita’s very strongly appears to be a teal-colored version of one of their white-colored drills, going by how the features and specs are all identical. I looked at that Dewalt last holiday season thinking it was a great deal but than I turned the offer down just because of what the salesman told me about it. Nice drill for someone who would use it 2 times a year but for most people on this site I think the Bosch or Milwaukee would be better. They are all good choices, but as Stuart said there are some great offerings in the 10.8v/12v lines as well, so it would be well worth checking them out too. You may also want to consider what other tools are available that you may want in the future in any given brand/platform. Personally I like and own mainly Milwaukee M12, some M18 and a some Ryobi One as they had the tools that I needed. Buying into a tool system is a consideration, but comes with a lot of fine print. Some of these $100 cordless drill kits might be good entry into a brand’s 18V or 20V Max cordless power tool system. But, with others, depending on the brand and model, most users might end up wanting to buy higher capacity battery packs and a faster charger. Lowe’s has a Bosch 18V with two batteries for ~$99 several times a year, also during Black Friday and around the holidays. Using a $20 off $100 coupon bumps it down to ~$80 before tax. Amazon is a good option whenever they have a low price and a coupon on Bosch tools as well. When the DDB181 kit goes on sale, it’s usually specifically ineligible for the $20 off $100, $25 off $100, $40 off $200, or whatever the holiday promo discount is for that season or year. It may be ineligible during the holiday promos, but doesn’t seem to be during the other sales. It was $99 not that long ago and the online codes worked fine, but I passed on getting it since I have enough 12V Max drills for now, and will wait until the brushless 18V is on sale for cheap to get it. I’ve also found that physical Lowe’s coupons that they send in the mail work in-store even on things online coupons won’t apply too. This includes sale prices on Black Friday. True. I steer clear from discussing coupons because there are too many variables. For instance, I haven’t seen a Lowes Project Starter coupon for maybe 5 years. They simply stopped coming in the mail. I’ve had a few $5 off $25/$10 off $50/$25 off $250 project starter booklets with coupons show up in the mail, just randomly for whatever resident was at the address this year. Prompted me to use them on some new Bosch 12V tools. I’d sign up somewhere if I knew how to get them to send more, but then maybe they’d stop sending the others. I really don’t see a bad choice here. I guess I do have a few leanings, though. If ALL I wanted was a good cordless drill, I’d maybe go with the Porter Cable. I’ve used one, and it seems to be not just a good, but excellent drill, and I have seen the drill kit with 2 batteries for $99. I hesitate at the cheapened DeWalt, I doubt it is any better than the PC. Now, if I were buying into a system, considering buying more compatible tools to go with the battery line, and plan to use the tools a lot, I’d be hard presses to pick between Bosch, DW, Milwaukee, or Makita. probably would boil down to which one has the best lineup for my future plans. However, if I were just doing homeowner stuff, I’d go with the Ryobi drill and impact driver set. The pair runs about $100, and while not true pro quality, you get a battery platform that has more tool choices than you can shake a stick at, (including yard tools) and the kit includes a decent impact driver, and two batteries. Back when impact drivers first came out, I wondered how useful they would be, and then I got one. I seriously think I use it more than a drill. If you never used one, you have no idea on Their usefulness. Even if you wonder if you’d ever actually use one, if you have it, you will. Nothing like being able to run in deck screws or their equivalent, with zero risk of twisting your wrist, even if you are elderly or arthritic (or both). Considering the DDB181 is not going to be able to handle any concrete/masonry drilling tasks, I would have forgone that metal chuck and added more torque for those larger wood bits. Good piece of kit though. You guys have no idea how good you have it. 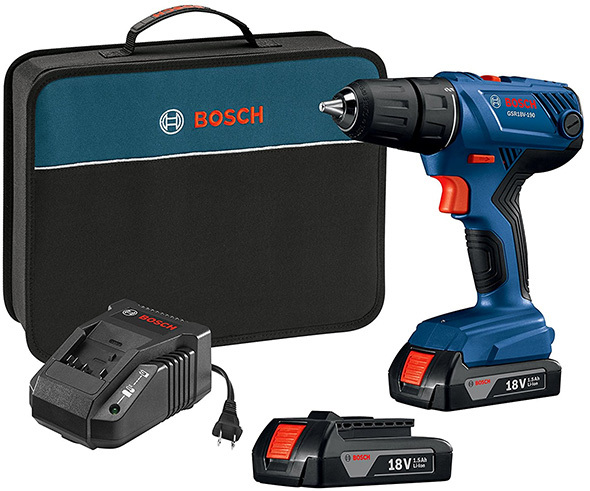 A similar Bosch cordless drill/driver here in South Africa with only 1 x 1.5ah battery and a plastic chuck sells for the equivalent of $300. I don’t think Hitachi gets enough praise. The DS18DGL is kinda big, but an awesome tool for the home owner or weekend warrior. From my experience, their DS18DSAL drill is the best drill kit under the $150 range I’ve ever used. DeWalt tools crap out on me and I will not invest anymore $ into their platform ever. Milwaukee and Makita are good tools and I trust their brands. I recently saw an image of the Hitachi 18V platform and it is a lot bigger than I had thought! Not the size of Milwaukee or Makita, but it appears that Hitachi is slowly but surely making moves in the right direction! I’d bet their partnership with Lowe’s is to thank for that. Based on my experience, for a $100 homeowner gig, I’d wait for the holidays and then get a 12v Drill/Driver & Impact Driver combo. Of the tools listed above though, I would get the Porter-Cable, Bosch, or Hitachi. 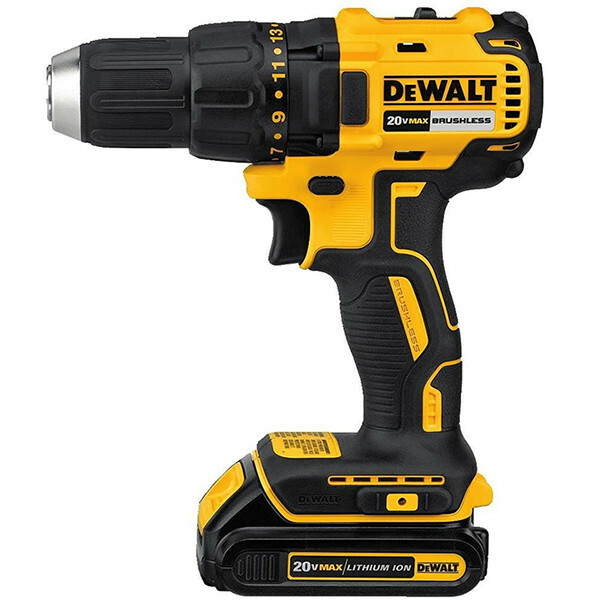 The DeWalt has been decontented too much, and the others are either too pricey or even more critically, have only a single battery. Sorry, but that just won’t fly, especially since most of them likely come with their low end slow chargers as well. Two batteries is an absolute must. The other option is to get the Ryobi D48CK 3/8″ VSR Clutch Driver. It is, to my knowledge, the sole corded drill available in the US that has a clutch. And it’s only $40. While it does have the inconvenience of a cord, for someone who will use it rarely, that inconvenience also comes with the benefit of never having dead batteries. I think this is a bit short sighted. For starters the Makita charger shown is their standard 18v AC charger. My 5aH battery charges in less than 45 minutes. Batteries should be viewed as a consumable and not a value proposition. Rather get a better drill/driver with more features/power/torque/warranty etc and then cough for another battery. Remember you can always buy another battery but you will never be able to upgrade that drill. I’m sick and tired buying batteries for tools! And they become obsolete very fast. Have you ever seen a battery on sale? Not me.Is convenience for the occasional user worth the high price of new batteries? Lets keep in kind the less than pro users these days. We are given short shrift by manufacturers who cater to the pro’s. We outnumber them too, remember. so lets concentrate on the ” little” guy for a while. Please. It’s difficult to answer this question without considering the entire system. I suppose if one were ONLY considering the initial purchase of 1 drill and 1 battery, most of these options would be fine. However, most people consider the cost of spare or replacement batteries and additional tools. Also, you have to be careful about incompatibility issues. For example, I believe Makita still makes a white “budget” drill, but its batteries do not fit in the regular LXT 18V tools (unless you modify them). If I were looking at a cheap system, my personal vote would be Ridgid. They don’t have the most expansive lineup, but they have all the essentials. The Jobmax is also an excellent tool and a very cheap way to get a decent reciprocating saw, oscillating tool, etc. If you’re looking for the highest quality drill you can buy for $100, you might consider Bosch or Makita (or perhaps even Milwaukee) over Ridgid.